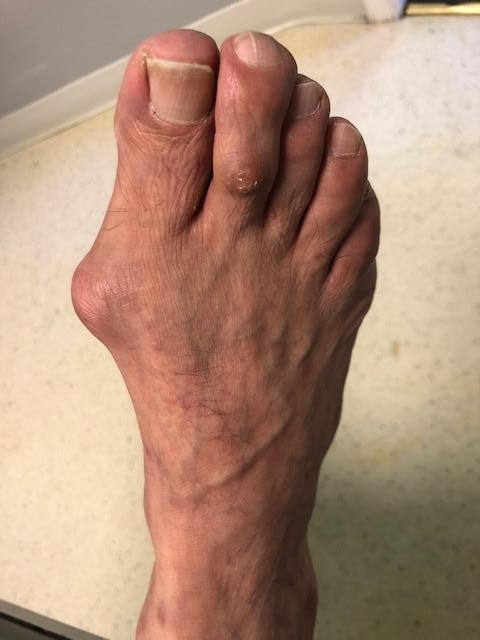 Bunions are one of the most common foot disorders treated by our Bunion Specialist Dr. Katzen. In fact, bunions are one of the most common disorders treated by most podiatrists across the country. More than half the women in America have bunions, a common deformity often blamed on wearing tight, narrow shoes. Bunions cause the base of your big toe (Metatarsophalangeal Joint) to enlarge and protrude. The skin over it may be red and tender. This can be acquired through time or it can be congenital (you got it from your family). Schedule an appointment for a consultation at our Foot & Ankle Center. Our Bunion Specialist, Dr. Burton Katzen can provide diagnosis and treatment options. If the toe is allowed to remain bent, bony changes may occur, and the toe may become rigid at the joint. 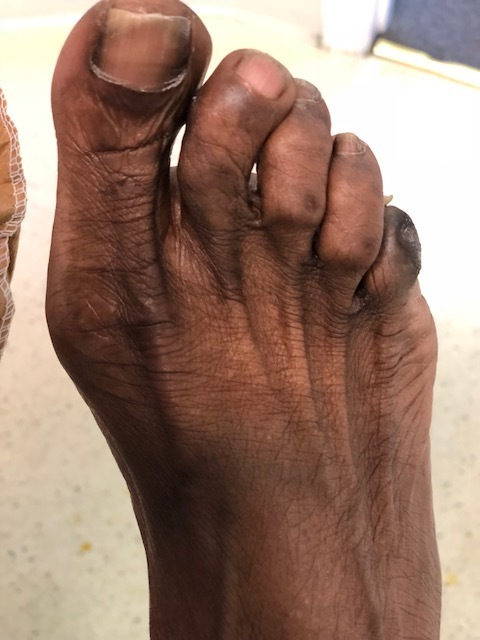 If the toe is corrected while still in the flexible stage, a simple soft tissue tendon release will eliminate the problem, and no bone work may be necessary. As the toe becomes more bent and less flexible, the abnormal growth of bone will be removed during the correction. This will allow for straightening and often more normal function of the joint. Since the bony prominence is gone and the toe is straightened, the shoe pressure will be alleviated and the corn will disappear permanently. Book an appointment today with our Hammertoe Expert, Dr. Burton Katzen. Our Foot & Ankle Center can help you find relief from hammertoes.